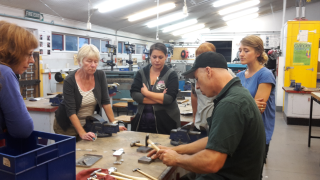 A hands-on opportunity to learn the skills to create your own jewellery, using sterling silver and copper. All materials provided. Learn the skills and techniques needed to make your own creations at home. 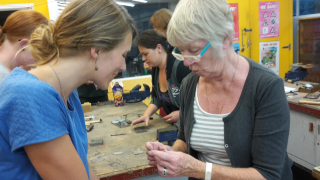 You'll make a sterling silver ring and pendant and learn to work with copper enamelling, giving a contrast in colour and materials. All materials included in course fee. Please bring pen and paper and wear clothing and footwear suitable for a workshop environment. Limited to nine participants. Please note that attendance at the first session is compulsory.